LIMERICK’S Cian McNamara, who by day is a competent club professional at Monkstown GC, has qualified for the €6 million Dubai Duty Free Irish Open at Ballyliffin GC, which starts this Thursday and continues through until Sunday. 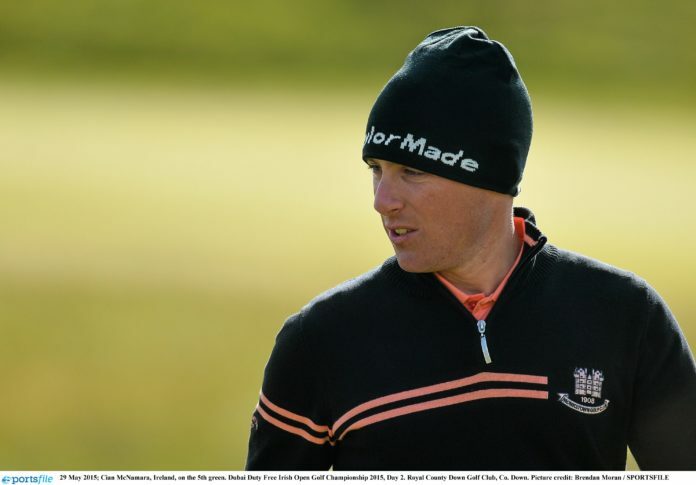 McNamara, aged 32, hung on to beat Europro Tour regular Kevin Phelan on the second play-off hole at Rosapenna Hotel & Golf Resort (Donegal) after both finished on two-under-par after 36 holes. It left McNamara in qualifying fourth place, behind Simon Thornton, Neil O’Brien and Colm Moriarty. McNamara collected a cheque for €2,200 at Rosapenna, and will hope to earn a multiple of that in this weekend’s Irish Open which has a winners’ prize well north of €1 million. If McNamara were to make the half-way cut, his financial reward could be in the region of a handy €20,000. Read more sport news here.